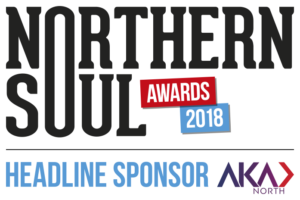 It’s been a quiet couple of months here in the OperaWatch office at Northern Soul Towers. Summer is traditionally opera downtime with little on offer for your indolent correspondent. 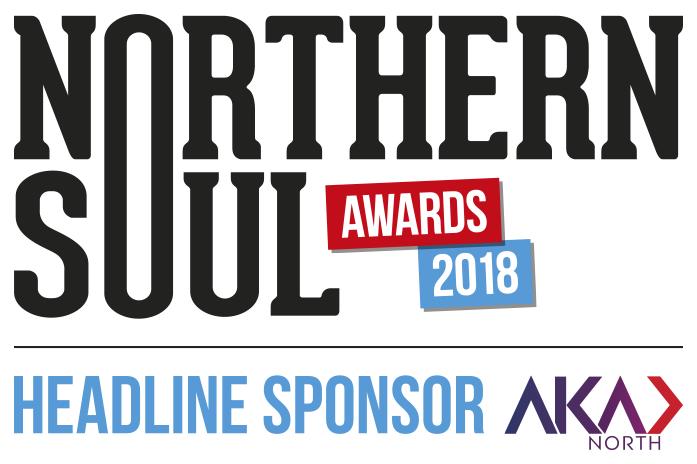 The rest of NS Towers was taken up with producing the magnificent evening that was the Northern Soul Awards while I twiddled my thumbs waiting for an opera to come along. I guess that’s why they call it ‘the gig economy’. And so it was with great excitement and cheering that I announced the forthcoming production of Puccini’s Tosca by Opera North at The Lowry. In fact, it was all I could do to contain the positively bacchanalian atmosphere as the staff at OperaWatch went wild with anticipation. It took me an age to get them to put their clothes back on before their afternoon nap. 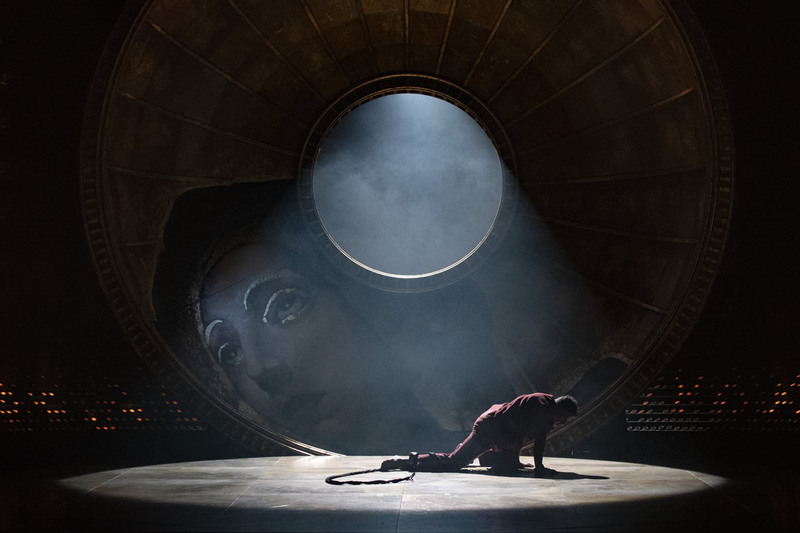 The mere mention of Opera North does that here as the company gets better and better, and this production of Tosca was outstanding. Puccini’s tragic opera is part of that great canon of his oeuvre that includes Madam Butterfly, La Boheme and Turnadot. Until now, it was the only one I hadn’t seen. Tosca (Giselle Allen) is a singer and lover of Cavaradossi (Rafael Rojas), a painter commissioned to render Mary Magdalene for the chapel ceiling. He is using a sketch of Marchesa Attavanti for his model which drives Tosca crazy with jealousy. The State of Rome is in the middle of a war and a political prisoner, Angelotti (John Savournin), has escaped. His old friend, Cavaradossi, finds him in the church and offers his home for Angelotti to hide in. He is being chased by the evil and lustful Baron Scarpia (Robert Hayward), chief of police, who also has a wanting eye on Tosca. In a powerful end to the first act, Scarpia and allies bring their families to a Te Deum. The visual reference to the corrupt power of church and state is inescapable as, Trump-like, Scarpia contemplates his sexual conquest of Tosca. Musically, the religious motive of the Te Deum is combined with the profane musings of Scarpia to reveal a Weinstein desire to abuse his power. In act two, Cavaradossi has been captured. Scarpia offers Tosca her lover’s freedom but at a cost. She demands to see him. 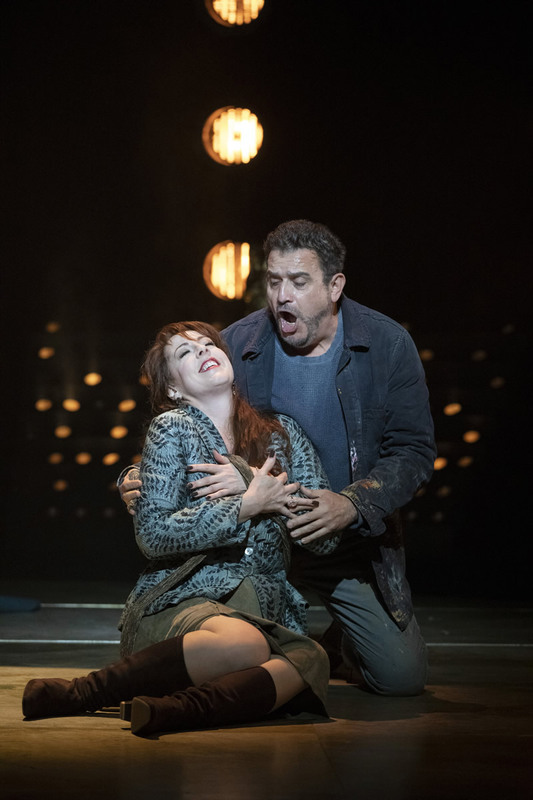 A beaten and tortured Cavaradossi is presented to her as she sings Vissi d’atre – I lived for art, I lived for love, why Lord do you reward me thus! It is an emotional aria in a moment of high tension with dark overtones of a #metoo culture. Tosca must decide to give herself to Scarpia in order to save Cavaradossi. Allen’s voice tremors with a tragedy which reminds me why I love opera. After securing a fake execution for her lover and a passport for them to escape Rome, Tosca agrees to give what Scarpia wants. As she climbs on to his bed, she stabs him and slits his throat. I nearly cheered! Act three bristles with the hope that Tosca and Cavaradossi will be free to fulfil their fate together. To Toscas’s horror, and in Scarpia’s final betrayal, Cavaradossi is executed. For Cavaradossi ‘forever, my dream of love has vanished’, Tosca, inconsolable, throws herself to her death. 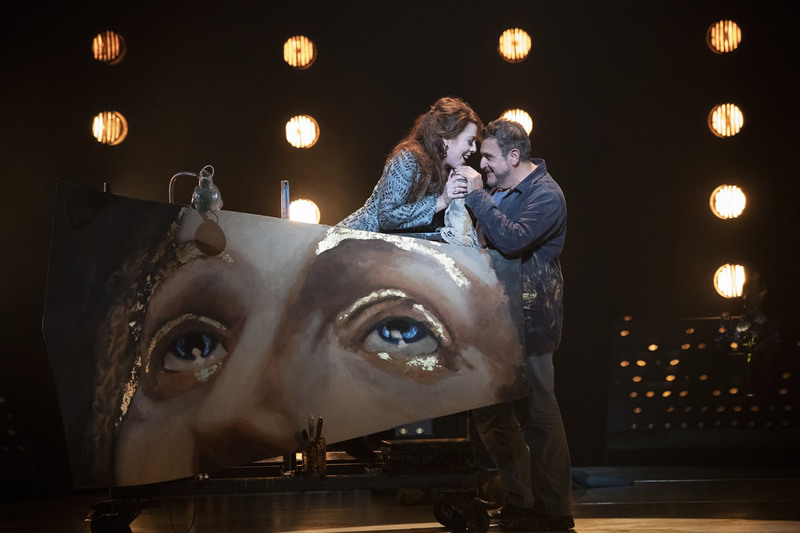 It was a fantastic production and proof, if proof were needed, that opera is the finest of all the arts, and Opera North one of its finest exponents.